Introducing Jingle, Juleps, & Jazz! Jazz up your holidays at this festive lunch brought to you by Lourdes Foundation. 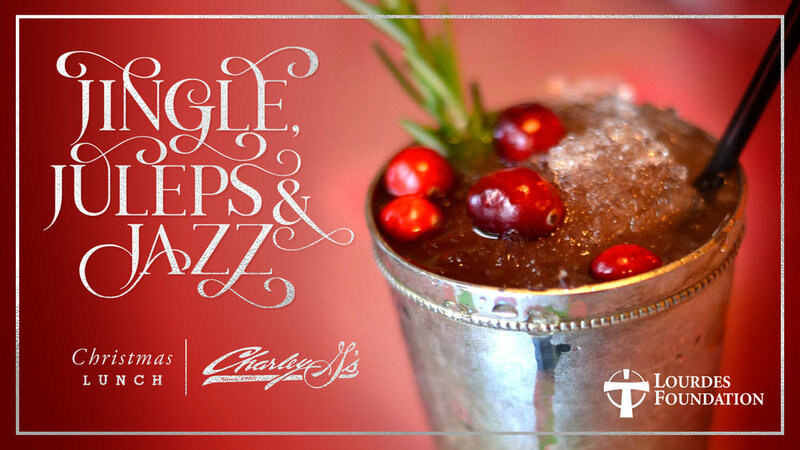 Your 3-course lunch prepared by the culinary masters at Charley G's will include a starting signature cocktail, Jingle Julep, and complimentary Kris Kringles, cranberry Prosecco fizz. Cash bar available. Live musical entertainment, a second line and Santa help to keep the fun going through the afternoon! Ticket sales help support Lourdes Foundation and its initiatives that touch those most in need throughout Acadiana.